Fission neutrons are neutrons produced in nuclear fission. They have typical spectrum and it is known the fission neutrons are of importance in any chain-reacting system. Neutrons trigger the nuclear fission of some nuclei (235U, 238U or even 232Th). What is crucial the fission of such nuclei produces 2, 3 or more free neutrons. 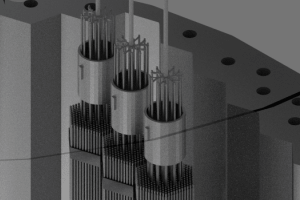 The first part of the neutron flux spectrum in thermal reactors, is the region of fast neutrons. All neutrons produced by fission are born as fast neutrons with high kinetic energy. 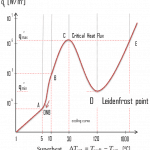 At first we have to distinguish between fast neutrons and prompt neutrons. The prompt neutrons can be sometimes incorretly confused with the fast neutrons. But there is an essential difference between them. 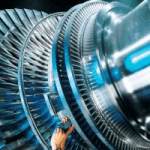 Fast neutrons are neutrons categorized according to the kinetic energy, while prompt neutrons are categorized according to the time of their release. 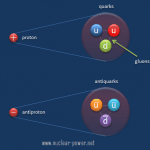 Most of the neutrons produced in fission are prompt neutrons. Usually more than 99 percent of the fission neutrons are the prompt neutrons, but the exact fraction is dependent on the nuclide to be fissioned and is also dependent on an incident neutron energy (usually increases with energy). 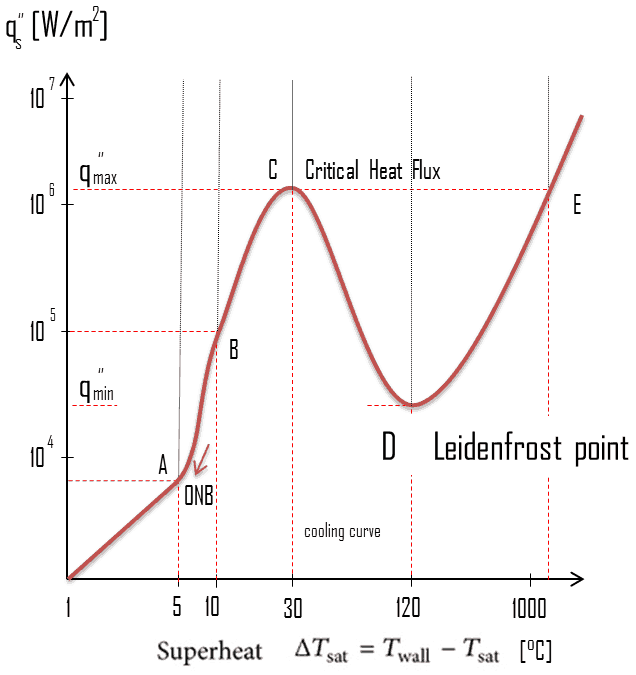 For example a fission of 235U by thermal neutron yields 2.43 neutrons, of which 2.42 neutrons are the prompt neutrons and 0.01585 neutrons (0.01585/2.43=0.0065=ß) are the delayed neutrons. 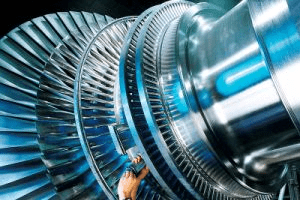 The vast of the prompt neutrons and even the delayed neutrons are born as fast neutrons (i.e. with kinetic energy higher than > 1 keV). But these two groups of fission neutrons have different energy spectra, therefore they contribute to the fission spectrum differently. Since more than 99 percent of the fission neutrons are the prompt neutrons, it is obvious, that they will dominate the entire spectrum. 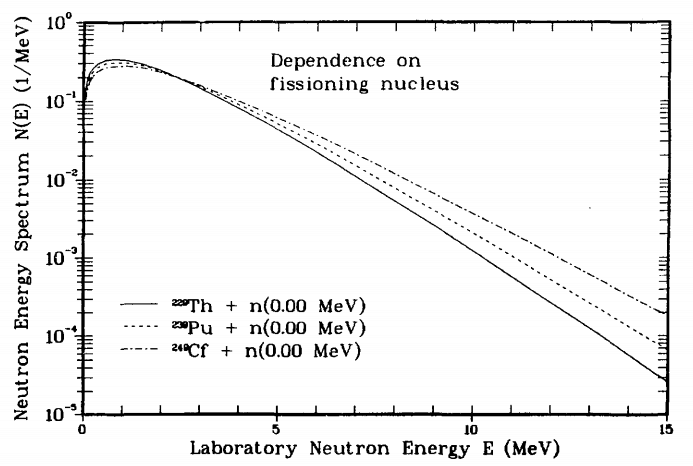 Almost all fission neutrons have energies between 0.1 MeV and 10 MeV. 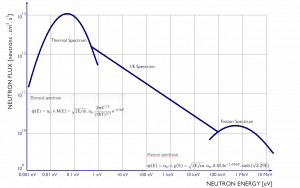 The mean neutron energy is about 2 MeV. 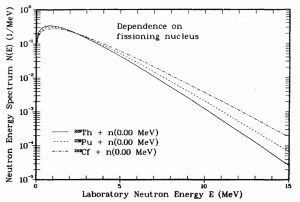 The most probable neutron energy is about 0.7 MeV. 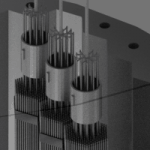 The neutrons released during fission with an average energy of 2 MeV in a reactor on average undergo a number of collisions (elastic or inelastic) before they are absorbed. As a result of these collisions they lose energy, so that the reactor spectrum is not identical to the fission spectrum, it is always ‘softer’ than the fission spectrum. 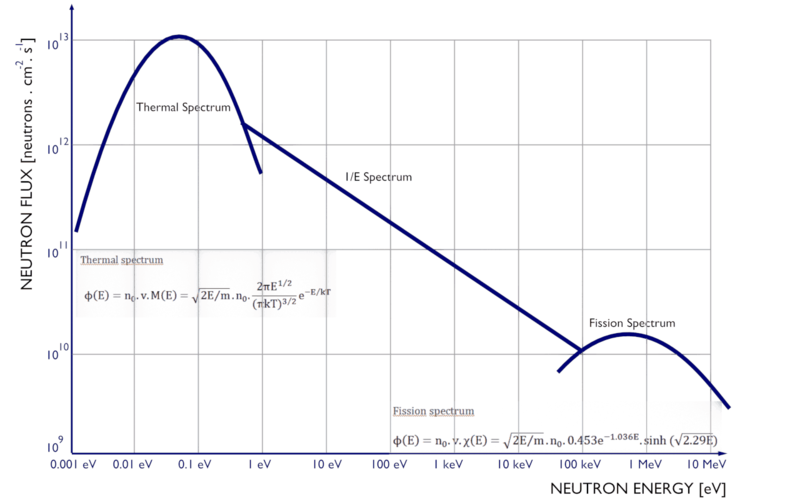 The fact is that the fission spectrum is the part of the reactor spectrum.